Late on Thursday night, I accidentally spilled water all over my keyboard. As you can probably guess, this was not appreciated by my computer all that much, and I won’t see the trusty ol’ gal again until late Monday or Tuesday at the earliest…along with a $500 repair bill. For those commenting on the Friday legal filings in the AXANAR case and the bombshells contained in them–like Paramount not providing ANY emails for discovery or the late news that CBS does, apparently, own Star Trek (oh, well)–yes, I’ve seen all three filings. And I plan to write up a blog on them just as soon as I have a decent keyboard again. I just can’t whip out a 2,000-word article on an iPad keyboard! 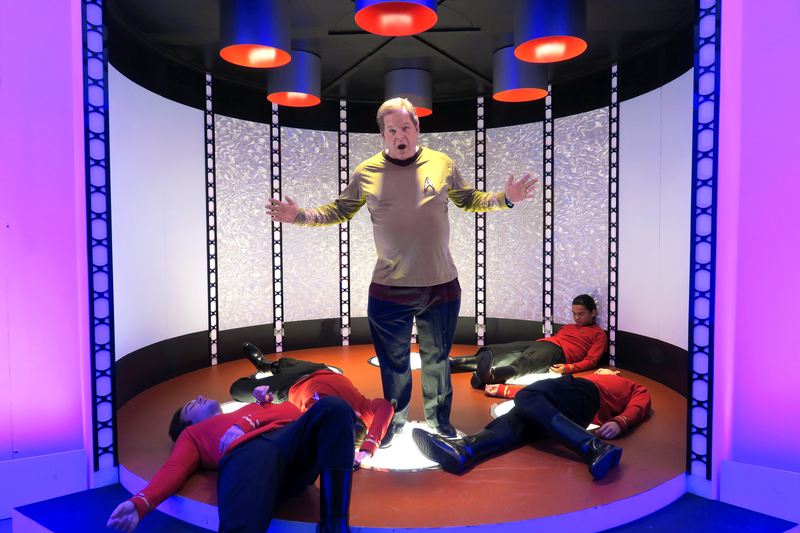 In the meantime, I’m researching what I can (what does President Gerald Ford have to do with AXANAR???) and getting ready for our next dive into the legal swimming pool. 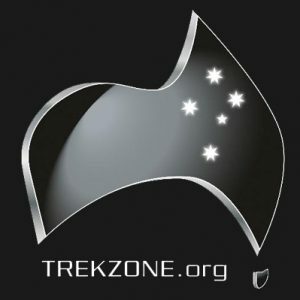 SMALL ACCESS founder JONATHAN LANE (me) featured on a controversial episode of the TREKZONE SPOTLIGHT! It seems I’m kicking up quite a bit of controversy…and not just from CBS and Paramount! If you’re curious why this interview was “controversial,” read this blog entry from yesterday . During the 45-minute grilling, I address several hard-hitting questions about the SMALL ACCESS campaign and our letter-writing effort to try to convince CBS and Paramount to revise the fan film guidelines and make them less restrictive. 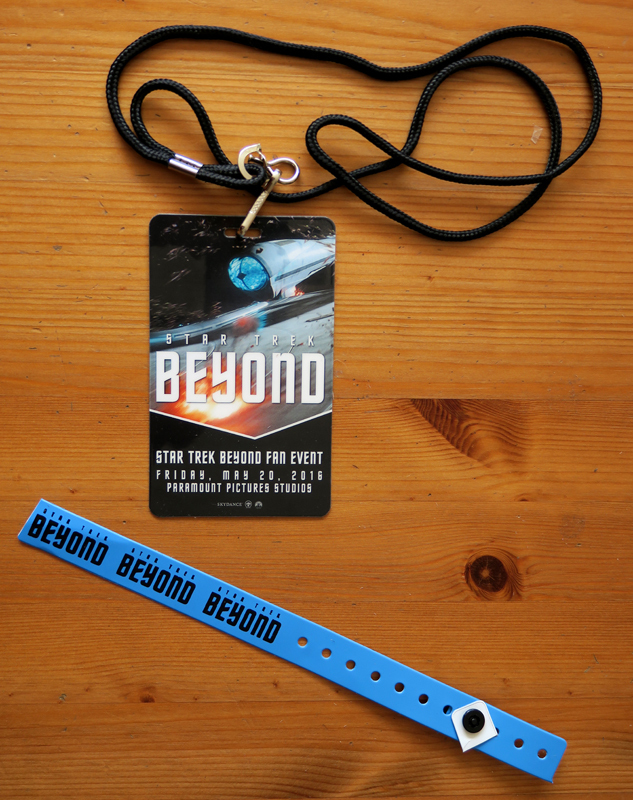 The interview also addresses the confusion and misinformation currently circulating about whether Axanar is behind the SMALL ACCESS campaign…which it is not. 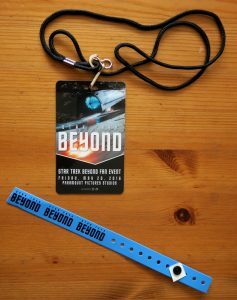 While I happily support Axanar and write this fun blog on the Axanar website, I’m way too busy with FAN FILM FACTOR and SMALL ACCESS to run everything past Alec Peters, and he’s way too busy to micromanage me. So we’re two ships in the same fleet fighting the same enemy, but Alec has his battles, and I’ve got mine. 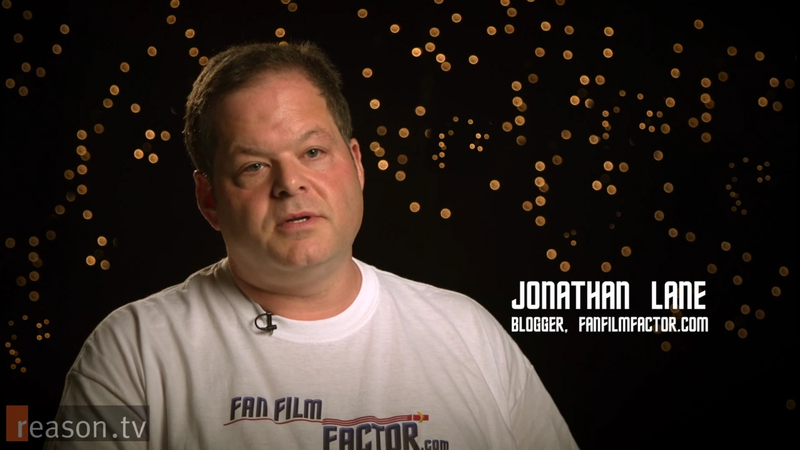 Author Jonathan LanePosted on September 3, 2016 Categories Fan Film Features, News, Personal StoriesTags CBS, Fan Film Guidelines, Jonathan Lane, Matthew Miller, Paramount, Small Access, Trekzone Spotlight4 Comments on SMALL ACCESS founder JONATHAN LANE (me) featured on a controversial episode of the TREKZONE SPOTLIGHT! Author Jonathan LanePosted on September 2, 2016 September 2, 2016 Categories Personal StoriesTags Letter Writing Campaign, Matthew Miller, Small Access, Trekzone6 Comments on Jonathan Lane’s TREKZONE interview is already controversial…and it isn’t even out yet! 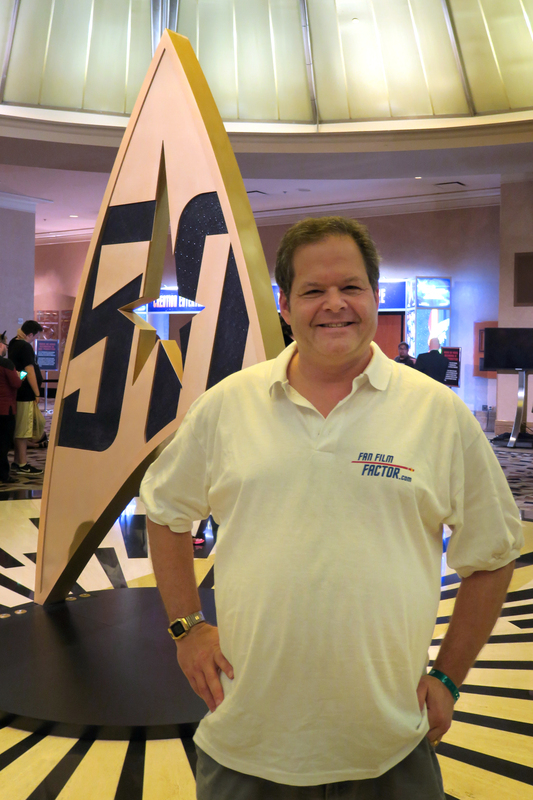 It’s the 50th anniversary of Star Trek in Vegas, baby! Would the real McCoy please sit down? CREATION CONtroversy…how’s that new “no talking about fan films” policy holding up? Before I begin, I’d just like to go on record that I’ve had the time of my life here in Las Vegas for the last five days. And CREATION ENTERTAINMENT founders Adam Malin and Gary Berman (and their many employees, volunteers, and celebrity guests) have outdone themselves in putting on a superb 50th anniversary tribute to Star Trek. I laughed, I cried, I kissed about $250 goodbye in the dealers room. It was the best of times; it was an incredible gift to the 6,000 fans who could afford to make it to Las Vegas and ordered their tickets before they sold out. So well done, I say to all of Creation! 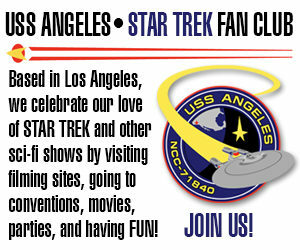 CREATION puts a GAG ORDER on discussion of FAN FILMS by celebrity guests! 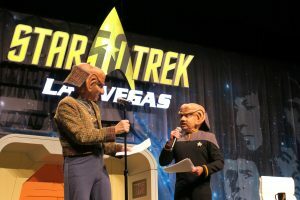 On Friday morning at the CREATION 50th Anniversary Star Trek Convention in Las Vegas, I learned of a troubling new policy: fan films are apparently a forbidden topic! The first indication I had of this new policy came at the end of the panel discussion with Tim Russ, Ethan Phillips, and Garrett Wang (who were each hilarious and not to be missed on stage if you ever get the chance). As their talk moved into the questions-from-the-audience stage, I wandered to the front of the room to get in line to ask my question. Author Jonathan LanePosted on August 6, 2016 August 6, 2016 Categories News, Personal StoriesTags 50th Anniversary, Creation, Fan Film Guidelines, Star Trek Convention19 Comments on CREATION puts a GAG ORDER on discussion of FAN FILMS by celebrity guests! Okay, this was kinda my fault. Back last December, Aron Eisenbeg (who played the Ferengi “Nog” on Star Trek: Deep Space Nine) needed a kidney transplant. He’d found a willing donor, but there was still a problem. It would take both Aron and his donor about three months to fully recuperate, during which time neither of them could work. Aron’s partner, Malissa Longo, would need to be his primary caregiver and would not be able to work herself while also taking care of Aron. Unfortunately, these are the sorts of expenses that insurance doesn’t typically cover (lost wages), leaving all three of them in a bind. Hey there, folks. I’m in Las Vegas this week (though there won’t be a lot of long Fan Film Factor posts). 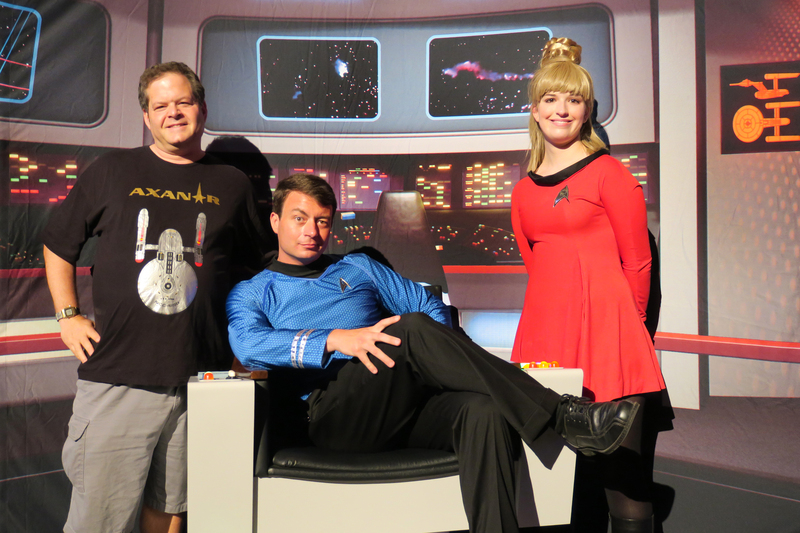 But I had to share this photo from Day One of the 50th anniversary Creation con. I’d only just met these two fun strangers (who had only met each other a few hours earlier) and I offered to take their photo together in the faux-to (photo) bridge are in Quark’s Bar. They were nice enough to stay up there long enough so I could sneak in for a photo op of my own. This McCoy is uncanny in his similarity to the late, great De Kelley. His name is Frank Jenks and you can find him on Facebook. Wanna see and hear what the guy who types all these blogs looks and sounds like? Last week, I was contacted by a news producer for ReasonTV and asked if I’d be willing to come in for a half hour or so and discuss Star Trek fan films. Well, gee, twist my arm! I’d never heard of ReasonTV, but it turns out it’s the latest offering from the Reason Foundation, which was founded in 1978 and publishes the monthly Reason magazine (voted one of the 50 best magazines in 2003 and 2004 by the Chicago Tribune…for whatever that’s worth). I was told the news feature would be about 10 minutes long and focus on the CBS/Axanar lawsuit and the new fan film guidelines. Alec Peters and Richard Hatch would also appear in the piece. We’d all be interviewed separately and edited together later. I drove to the studio (conveniently located only about ten minutes from where I live) and sat for a very pleasant interview. The reporter, Zach Weissmueller, was well prepared with some great questions. This wasn’t just a fluff piece, and my job wasn’t to talk up Axanar. In fact, I think I only even said the word “Axanar” once during the entire interview. Instead, I was asked about the history of fan films and the introduction of the new official guidelines. You can watch the video below (it’s very well-produced and informative) or click here to read the text piece that goes along with it.